Elonex Outdoor Media has been praised for providing innovative support to one of the West Midlands’ leading charities – as its Managing Director takes up a challenge to cycle more than 300 miles from London to Paris to help raise funds for the cause. Adam Stockton – head of the digital advertising firm which owns Europe’s largest outdoor digital screen at Junction 9 on the M6 – is joining the call to help raise £2 million for Cure Leukaemia as the charity marks the 10th anniversary of the Centre for Clinical Haematology. Elonex has been backing the blood cancer charity since 2014, broadcasting its messages across its network of roadside digital screens. This has seen Cure Leukaemia receive more than one million advertisements, which have been viewed by an audience in excess of 55 million each year. 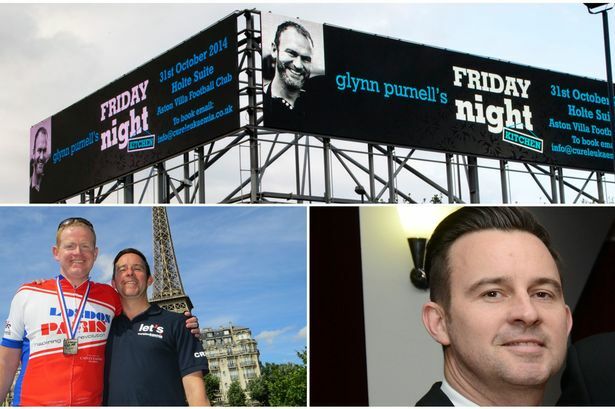 As well as its London 2 Paris Cycling event on May 19 to 24 this has included adverts for the charity’s other events such as Glynn Purnell’s Friday Night Kitchen, the Great Birmingham Run, the Cup Legends Cup football tournament and the Brindleyplace Dragonboat Festival. In particular the Just One More campaign during September 2015 was given prominent air time helping Cure Leukaemia achieve its goal of raising £40,000 to fund a specialist research nurse for a year during blood cancer awareness month. Elonex has also given the charity use of their mobile digital screens for its launch events and provided advertising airtime when the mobile screens have been deployed at major events – such as the Edgbaston Ashes Test Match and Birmingham’s Frankfurt Christmas Market. Messages from Cure Leukaemia have also been seen on Elonex digital screens in local shopping centres and at the Barclaycard Arena. In return Elonex has benefited from introductions to local business through Cure Leukaemia and set up an innovative partners scheme which sees a percentage of any new business secured through introductions by the charity donated straight back to Cure Leukaemia. Mr Stockton, who was part of the London 2 Paris cycle ride crew last year, said: “Elonex is passionate about the life saving work Cure Leukaemia is involved in, and proud to support such a fantastic cause. “Our partners scheme hopefully highlights how there are many different ways businesses can support a charity, it isn’t always about running, cycling and dinners – although I am signed up for the ride to Paris this May! Cure Leukaemia’s head of corporate partnerships, Jackie Kelly said: “The magnificent support Cure Leukaemia has received from Elonex Outdoor Media is innovative and highly effective.